Speaking of Halloween, today we welcome our author-tipster Gail Roughton who penned an entire series about a witch and a warlock, perfect for this time of year. 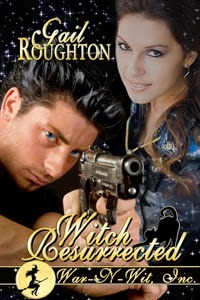 Witch Resurrected is the first in this fun, action-packed War-n-Wit Inc. romance/mystery. You could win that e-book or take your choice of any PDF format of e-books on Gail's Amazon page just by leaving a comment below. Welcome, Gail! You've conjured up fantastic tips for us today. I've invited all these folks to pull up a chair to your kitchen table and enjoy a chat in your Southern home. It's fall now so I don't know if you're serving delicious Southern sweet tea or hot apple cider to our visitors. Let's start off with your "light bulb" moment in your writing experience. I don’t know the exact moment when it clicked but my writing changed from amateur to professional when I learned how to show, not tell. That’s what every publisher wants, what every editor tells you to do. Unfortunately, they don’t tell you how to do it. I don’t think they can tell you, because I think the “click” happens differently for everyone. The closest I can come to an explanation is an example. It’s really hot outside. How do you show that and not tell it? Let’s see. “It was very hot outside.” Well, big whoop. That’s a statement of fact, but it doesn't make the reader feel hot, now does it? So okay. “It was hot enough to fry eggs on the sidewalk.” Better, but a standard cliché and clichés are to be avoided as much as possible. So try again. “Steam sizzled up from the sidewalk.” Do you see those threads of steam streaming up from the concrete? That’s show. Not tell. And it’s like riding a bicycle. Once you hear that “click”—you can’t un-hear it. You’ll never write the same way again. Thanks, Gail, for that excellent advice on show and tell. Now, Readers, Gail didn't play any tricks on you. 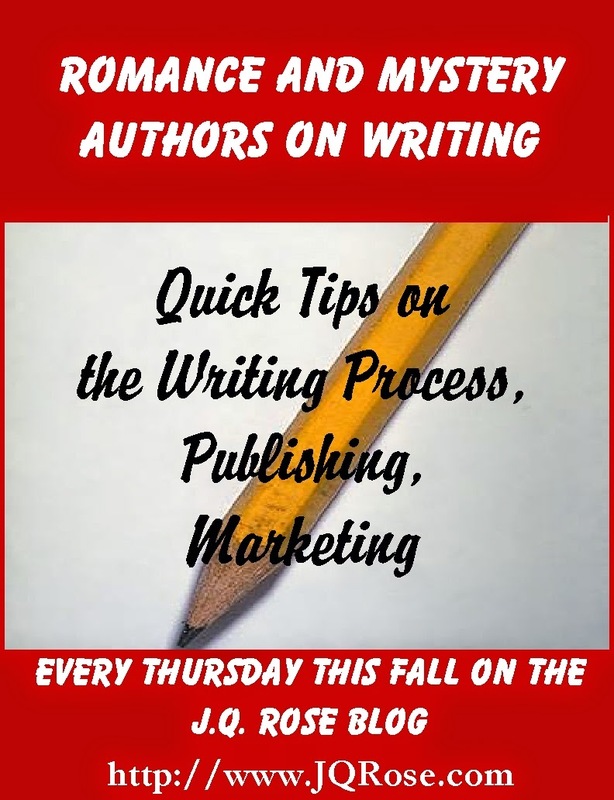 Her tips on dialogue, characters, settings, editing, marketing/promoting are solid treats for writers. Ya'all get comfortable and read on. Dialogue is your best friend. It carries your book. It can turn any novel, however short or however long, into a quick, fast, fabulous read, provided it reads naturally. People don’t speak in grammatically perfect, complete sentences, and neither should your characters. People have their own speech patterns, flow, idioms and idiosyncrasies based on birthplace and background. So should your characters. Absolutely nothing jars a reader, at least me (me being the reader I know best) out of story faster than a character talking “out of character”. A good ol’ southern boy is not going to suddenly proclaim, “Oh, my! That startled me out of my wits!” He’s going to say “That ‘bout scared the pants off me!” (Actually, that’s not really what a good ol’ southern boy’s going to say in such a situation but this is a G blog and you get the general idea.) Also, watch those tags. In a two-person conversation, it’s pretty obvious which character is talking. Adding tags after every line of dialogue breaks the flow and thereby defeats the entire purpose of dialogue in the first place. You want the reader to feel as though they’re listening to a conversation, not reading one. I know writers who develop their characters like a science project. They make lists of physical attributes, traits, activities. They even chart their horoscopes. And it works for them, so more power to them. I don’t know where my characters come from. They just – appear. Sometimes fully grown and raring to go, sometimes in a ghostly shadow that gradually acquires solid form and substance. I start writing when they stand up independently and start walking and talking and telling me their story. They tell the story, not me. I just transcribe their words and actions onto a computer screen. I can’t tell you how to develop a character because I don’t know how. And once the story’s told and the book’s written, I look at both the characters and the book itself the same way I look at my children – with an intense feeling of disbelief that I created them, that I had anything to do with them. They’ve become independent entities I really had very little to do with. Write what you know. Write where you know. Someplace you’ve at least visited, even if you haven’t lived there. Now sometimes, of course, characters suddenly decide they’re taking a vacation to someplace you know nothing about. There’s this wonderful thing called the internet , usually full of videos of that exact place, lists of attractions, restaurants, you name it. But to write a book where a reader can live, stick as much as possible with what you know, where you were raised, someplace you love. Or hate. Depends on the mood you want to convey, of course. Also, remember it’s not necessary to fully describe every tree in the woods, every bush in a yard. Description sets a mood and a scene. Every reader will envision the details in their own unique way, personalize the story so it resonates with them. You’re telling a story. You’re not writing a travel guide. When you first finish a book, put it aside for a while. At least a week, preferably a month to six weeks. Then re-read it. You’re your own best first editor. Then take a scalpel to it. With the ruthlessness of a surgeon. Nothing you wrote is so good it can’t be improved. Nothing you ever write is so good it can’t be improved. Read it like you’re reading it for the first time, like you just picked it up in a bookstore. And be honest. If you’d just bought this book, would you keep reading it? If not, why not? That’s for the story itself. Insofar as the technical writing, how many unnecessary words can be cut? I’m speaking specifically of the dreaded “that”, as in “Mary knew that she was in trouble. Sarah knew that she was in trouble, too.” Oh, yeah, those “that’s” repeated over and over really slow a reader down. “Mary knew she was in trouble. Sarah knew it, too.” Then move on to the second editor. Somebody that’s not you. They’re going to see a lot of things you missed completely. Typos, incongruities in the timeline, missing gaps of necessary information, information dumps that are completely unnecessary. And sometimes—gasp—they’re actually going to suggest an alternate way of phrasing a passage or structuring the plot. And here’s where a serious writer needs to lose that gasp of outraged indignation and lose it quick. LISTEN TO THEM. They might be wrong. But they might be right. Don’t get your feelings hurt. Because one more time—nothing you wrote is so good it can’t be improved. Nothing you ever write is so good it can’t be improved. Write a good book. All the marketing and promoting in the world won’t sell a book that’s boring, poorly edited, full of errors, and populated by cardboard characters. The best promo is the next book. And that next book better be just as good as, if not better, than the first. 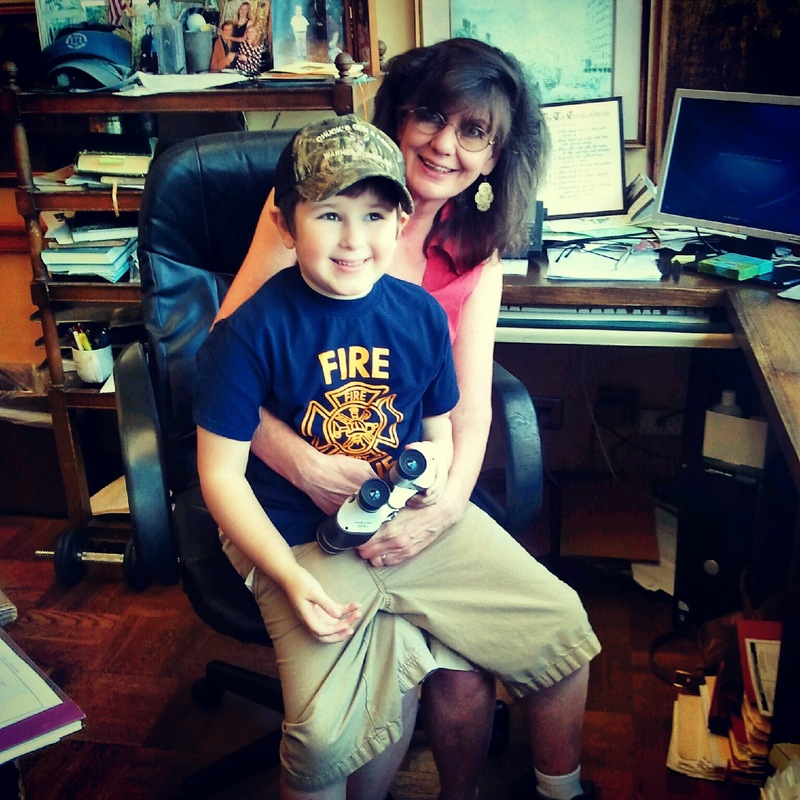 Do you have questions for Gail about writing? 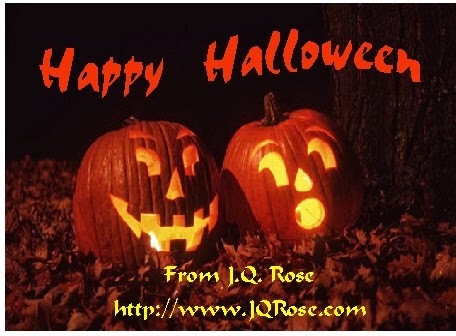 Please ask or just say hi to be eligible to win the drawing for you choice of e-book on the Amazon page. Classic advice from a writer who knows her onions. Great post, ladies. Great tips, Gail. I'm especially glad you gave examples. All great advice. Thanks for the tips! I'm often guilty of too many "thats". "All the marketing and promoting in the world won’t sell a book that’s boring, poorly edited, full of errors..."
Hey, y'all! Thanks for stopping by and J. Q., thanks for having me. I'm honored you asked! Pat, I'll treasure that. And yes, writing's a lot like an onion. Multi-layered. And capable of reducing a writer to tears. Hopefully, not the readers, unless of course, that's what you're trying to do at any given moment. I meant to give credit where credit is due and go back in this blog to tell y'all that actually, Ro Dowell is the lady who first made me hear the "click". I don't even remember exactly what she said, or how she said it, but the "click" was loud and audible. She's also my go-to first alpha reader and her suggestions have formed some of my favorite and funniest scenes. (Like I said, folks, LISTEN!) Helena, thanks so much for stopping in! Melissa, so nice to meet you! And Heather--I hope you like the second "Country Justice". 'Cause it's a paranormal thriller and it's gonna a tad dark in some spots! The best part about reading this blog and the comments is I know Ms. Gail personally and let me just say: what you see is what you get! Not only is she a fabulous writer I've learned a lot from her and love every one of her stories!! Hi Gail, thanks so much for sharing your wit and wisdom with us today. Sorry I'm late getting back in here. After I shouted about you being my guest early this a.m. I took off on a much longer than expected grocery shopping trip. (I must admit I drooled over all the books at Sam's Club so I was delayed!!) Love turning my blog over to you! Pat--giggled at your comment about Gail knowing her onions...Thanks. LORI GIRL!!!!! HEY!!!! Y'all, Lori Branigan is one of my JCM girls, and bless her heart, she read my books LONG before anybody else did, in the days when no publisher had ever looked at 'em and no editor had ever touched 'em! Usually chapter by chapter as they progressed! So glad you dropped in! LOVE! J.Q., I hope you bought some onions! Roseanne--The examples are so helpful and really helps me picture what needs to be done. BTW, thanks for helping Gail so much with getting her hear that click to point her to her amazing career. I am honored to have so many talented authors participating in this series. Fabulous advice from an incredible writer! I can't wait to read new books! Melissa, love your comment. Thanks for coming by. Heather, I'm looking forward to the sequel too. CJ is one of my favorite books from Gail. Very special to her too. Maybe when she gets back in here she can tell you why it is close to her heart. Lori--All true about Gail. Thanks so much for coming by. Gail is a very special gal. KATE!!! You stopped in the middle of the day to read a blog? I'm truly honored. Ladies, meet Kate Strain. She's one of my folks behind the scene. She's an intellectual property attorney in Savannah and I've been known to email her on a Saturday and ask her if I can actually use some particular phrase or logo or if I was gonna get my rear-end sued! I mean, no point in letting all that trademark-patent knowledge only get used in Court! Hi Kate, I'm with you. Always looking for another great read from Gail. LOL Gail. Glad you check with Kate before actually publishing something that might get you in trouble or should I say more trouble! Great post. Given that I really enjoy character driven novels I found Gail's thoughts on characters particularly interesting. Hi Tracy, Yes, she comes up with interesting characters for sure--a witch and a warlock in love to name a couple. Thanks for stopping by and leaving a comment. Hey Tracy! How nice to meet you! I'd be lost without my characters. Because basically I don't write the books, they do, I just do what I'm told. Sometimes I wish I could just chart 'em out but I'm sure they wouldn't be nearly as interesting, 'cause I really don't have near the imagination they do. Hey Miss Mae! Yeah, we Georgia girls have to stick together. I haven't been churning out near as much as I'd like lately, but I'm countin' down the months till retirement. Currently 18 and counting! Oh dear two Georgia gals on here at one time. Hi MM...glad you made it in here to give Gail a hard time. Everyone is being so nice to her. It may go to her head! What wonderful advice here, and the examples are helpful! Great blog post, thanks! Thanks so much for coming by, Neeks! Nice to meet you! Hi Neeks. Thanks for coming over and leaving a comment. Neeks is one of the chatters at the Writers Chat room on Wed 8-10. Here's another tip. Check out the Writers Chat room! Http://writerschatroom.com. Fun and lots of writerly topics. Black Turkey's got precedence right now. It's having a roll and if it works out like I hope it's going to, it's going to have the best of Seven and CJ combined. I hope. Crossin' fingers 'cause y'all know how insecure I am. Hi Jude, Gail knows how to get that taste of the South in her stories for sure. And it's real. Thanks for nudging her again for us to encourage another W n W.
Gail, keep it rollin' rollin' rollin' Can't wait to read this new one.You're so excited about it, it's contagious!